Every city lives by its own individual rhythm. The doors of most public workplaces open at 09.00 am and urban noise quits after midnight in Tbilisi, after which public transport also sleeps and people can only travel by taxi. 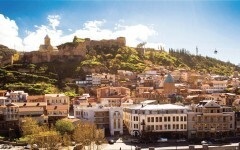 The most distinctive districts are located in Tbilisi’s southern part, around Freedom Square. These must-sees, with narrow blind alleys and nice views, belong to the Old Town. The population of Tbilisi increased when many displaced people moved here as a result of armed conflicts in the 1990s. Consequently, unemployment and lack of stable work are big problems for Georgia’s capital. Georgians greet each other with a kiss and usually use the words: rogora khar? 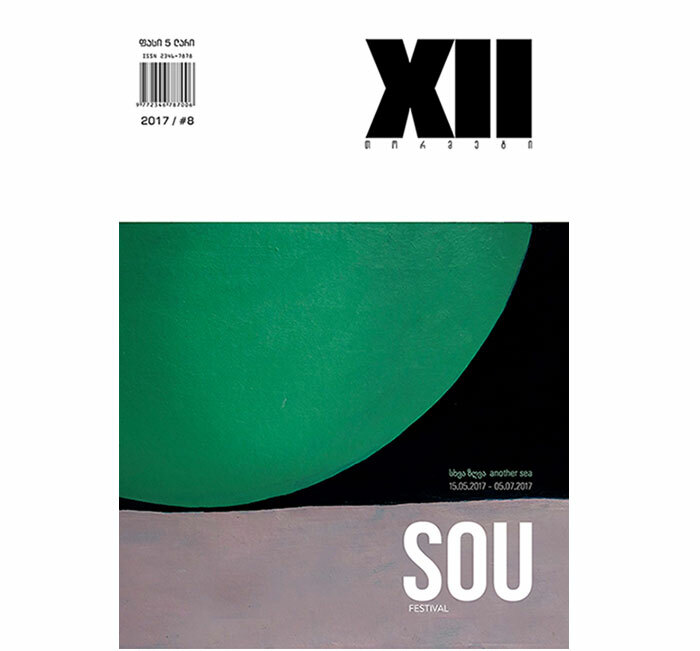 (how are you?) It’s also perfectly acceptable to express your positive attitude just by shaking hands. If you want to ask something in the street, it is better to address a young person – it is more likely he will understand your question. Middle-aged people would be also helpful, but they rarely speak English. 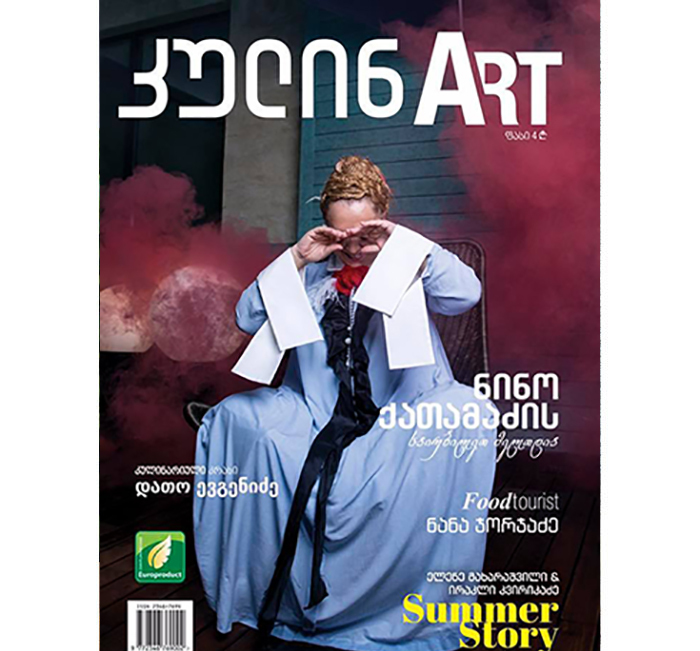 There are some English-language newspapers published in Georgia which are available in press-kiosks throughout the city. There are many Orthodox Christian churches in Georgia. Men should enter without hats and women should cover their hair and not wear too ‘open’ clothing. There are a lot of resorts on the coast and in the mountains, but few two and three-star hotels. If you fi nd a hotel expensive, you can rent a flat and easily negotiate the price. Tbilisi’s nightlife is not very intensive. But still clubbing-connoisseurs and culture-vultures can visit trendy and cozy café-restaurants, modern night clubs and enjoy live music performances in the Old Town – at Bambis Rigi, Shardeni, Erekle II and Leselidze streets. It is prohibited to keep, sell and consume drugs in Georgia. Smoking marihuana is also a crime, punishable with several years of imprisonment. Avoid strangers offering to sell you drugs. There are various money exchange points in Georgia’s capital, but when you have to exchange a large amount of money, it is safer to do so in a bank. There are several police-stations in each district. But still, avoid walking alone in the dark. In an emergency situation call 112 from a city or cell phone. Watch out for your bags and cameras. Don’t leave them unattended. Keep an eye on your wallets and documents, especially in crowded places. Keep them in inner and fully zipped pockets. Only carry around as much money as you need for that day, no more. Leave valuables that you aren’t going to use on the day in the hotel safe. In case of you lose your plane tickets, credit cards or other documents, immediately contact the police (112). You should make copies of your documents prior to your arrival in Georgia, just in case. Traffi c is more intense from around 5:00PM to 7:00PM in Tbilisi. It is common to give up your seat to small children and elderly people in public transport. There are electronic bus timetables at most bus-stops which show the exact time of a bus arrival in Georgian and English. Tickets should be bought on boarding a bus and cost 50 Tetri. In minibuses passengers pay only before getting out. 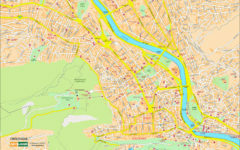 Tbilisi minibuses (so-called marshutka) are yellow and a passenger can stop one whenever he wants, excluding Freedom Square, and Rustaveli and Chavchavadze avenues where they can only be stopped at bus-stops. PRICE – 80 Tetri, in some districts – 40 Tetri. Minibuses are often busy and some passengers travel standing. Even if the minibus is full, a driver will still likely stop for you if you wave your hand. Then it is up to you whether you want to squeeze in or not. The Tbilisi Metro has 21 stations and one transfer line from Station Square to Saburtalo line. The Metro is open from 6:00AM to 12:00PM. You should purchase special plastic cards for traveling by underground. These cards are on sale at station kiosks and cost 2GEL whilst journeys themselves – 50 Tetri. Traveling by taxi – the fastest overground transport in Tbilisi – is pretty common here. A cab can be taken/called up easily everywhere. If you grab a taxi in the street, it is better to negotiate the price beforehand with the driver as foreign tourists sometimes get told double the real price. Taxis are not expensive here. For example: 2GEL is the acceptable price to ride from Freedom Square to Metechi Bridge by cab. Despite the number of cyclists increasing rapidly, there are no special bike-lanes for bicycles and drivers tend to be dispassionate to cyclists. It is not common in Georgia to travel by hitch-hiking, but if you still come across this, before taking a seat make sure it is safe, even with Georgians who are open and hospitable. Tbilisi International Airport is located 20 km from the center of Tbilisi. It is possible to get there by taxi (15-20GEL) as well as by public transport which works from 08.00 to 20.00. Travel cost: 50 Tetri. There is WI-FI in almost every café and restaurant in Tbilisi. Hotels in different regions of Georgia also have access to the Internet. Georgians are fond of salty and spicy dishes. So, if you don’t like such food, discuss it with the service staff when ordering. Tbilisi is not included on the list of expensive cities. A minimum monthly income is around 200 GEL. Lots of Georgians, especially women, work in foreign countries in order to provide for their families. Many citizens buy natural and organic food direct from the villages. Natural and organic food – cheese, vegetables, meat and Georgian sweets – can be purchased at the Agrarian market near Station Square metro-station. For safety avoid outside traders and standalone kiosks. Georgia is the cradle of wine, with more than 500 grape varieties. Wine is more honored here than beer or vodka. It is a great sign of respect for a person if someone offers a toast to him with a glass of wine. 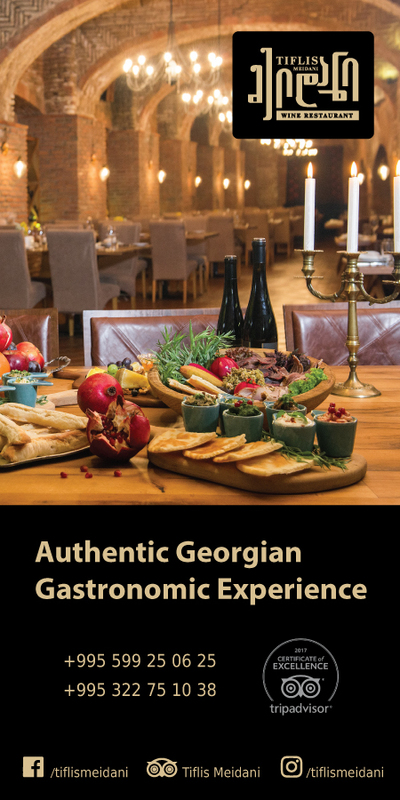 The Georgian feast is a signifi cant part of spiritual and cultural tradition and part of the Georgian identity. Wine, bread, toasting and song are the main components of the Georgian feast. If you are invited to a Georgian feast and a host drinks a toast to you, you should express your gratitude by drinking his toast as well, and your gesture will be much appreciated. Georgians usually drink lots of wine, but don’t get drunk easily. Being drunk it is not an embarrassment here. It is illegal for Georgian society to drink wine, vodka, or any other alcoholic beverage from bottles in the street. There are special smoking areas in restaurants, cafes, bars and other public places. Tap water is drinkable. Famous Georgian mineral waters are on sale in every market or corner shop. Garbage (except construction garbage) is not classifi ed in Tbilisi and is thrown together in bins.